Every Longhorn plays a role in making Longhorn Run possible. 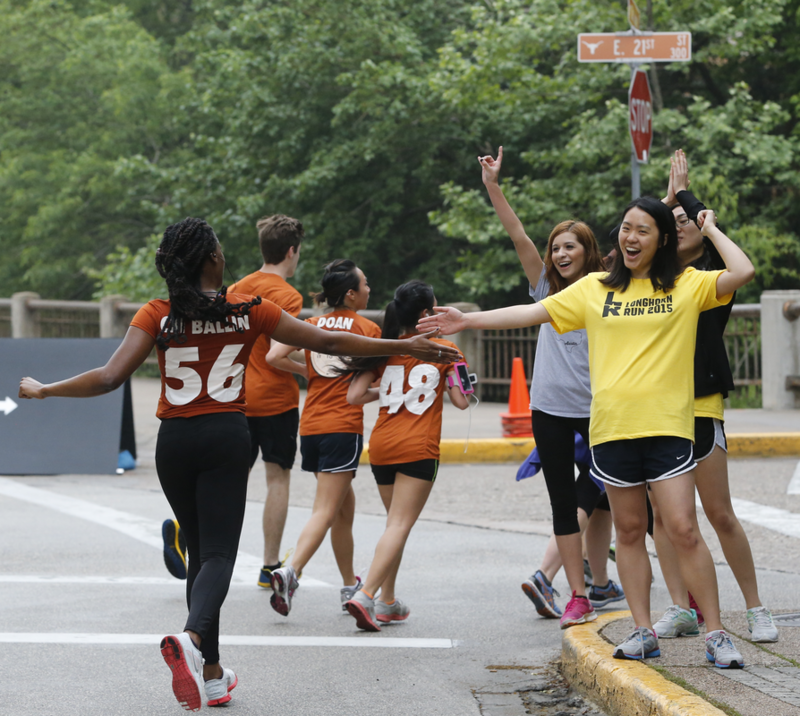 Whether you're looking to beat a personal record or participate in your first race, the Longhorn Run presents a unique race experience full of UT spirit and tradition throughout the course and a campus tradition to check off your UT or Austin bucket list. ​The best part: we'll be there to support you from the start through a complimentary training program leading up to race day. As a runner in the Longhorn Run, you not only get to reach another goal but also give back to The University of Texas, as proceeds benefit the Student Government Student and Recreational Sports Excellence Funds, both directly benefiting the UT student experience. Participate individually or make a team with friends or your student organization! 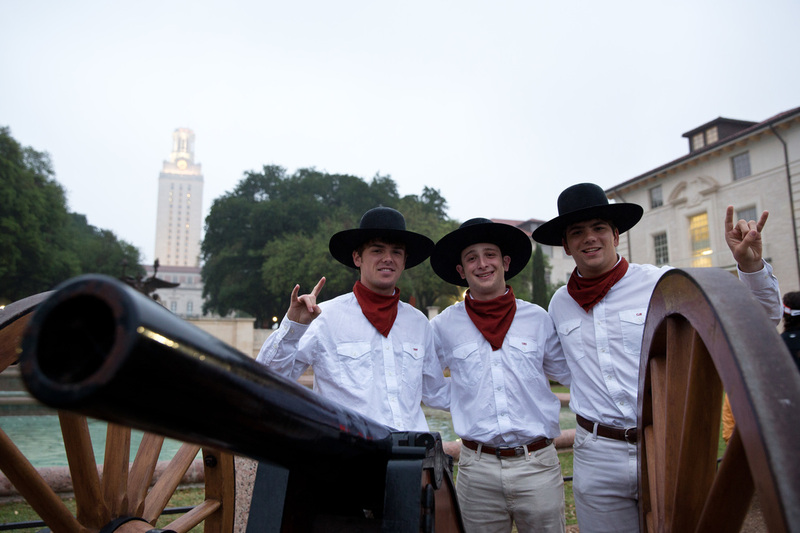 The Longhorn Run would not be possible without the efforts of over 200 volunteers who arrive early, stay late, and wear their best UT spirit dedicating their time to making it a successful and enjoyable experience for all. From packet pick-up to the post-race celebration, the Longhorn Run offers a variety of volunteer opportunities to give back by sharing your time and talents, as well as experience this campus tradition from a unique perspective. We welcome your participation as an individual or as part of a student organization. ​Part of what makes the Longhorn Run such a unique race day experience is the display of UT spirit and tradition along the course. We welcome the talent of various student organizations to provide on-course entertainment for our runners.